Quinoa's something I haven't cooked until now. I'd heard plenty about it, and I definitely wanted to make something using quinoa. So, when I was assigned Tracy's blog, Pale Yellow, I gravitated towards two of her quinoa recipes - a Greek quinoa and her Tex-Mex Quinoa. What's this about being assigned a blog? Well, each month, as part of the Secret Recipe Club, we're assigned a blog, and we (secretly) select a recipe to make. Then, everyone posts their recipes at once, revealing our recipes and the blogs where we got the recipes. Although I knew I wanted to make something with quinoa, I wasn't sure if I wanted Greek or Tex-Mex. Afterall, those are two of my favorite flavors! So instead of making a decision, I asked James which one to make, and he chose Tex-Mex. :) I'm thinking I'll just have to make the Greek Quinoa next! We really enjoyed this Tex-Mex quinoa, and to make it even better? Cotija cheese! 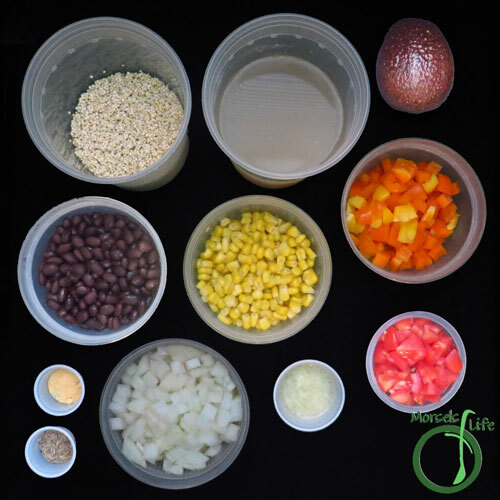 We first used this cheese when we made Mexican Cotija Corn, and we really enjoyed it in the Mexican Corn Salad. The cheese really added an enticing and appetizing saltiness to this quinoa. 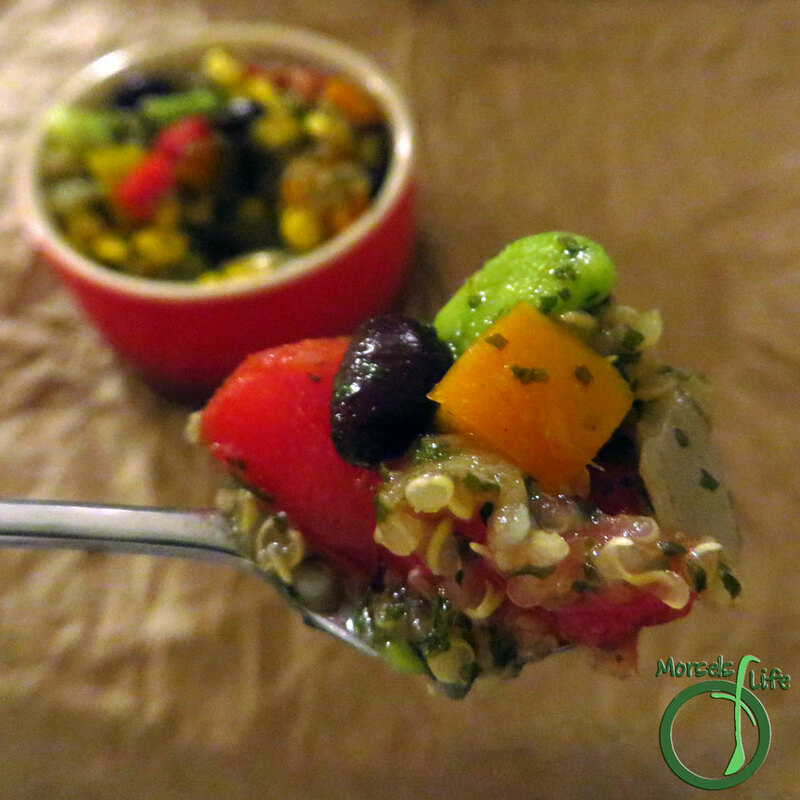 Do you enjoy grain salads? What are some of your favorite flavors? 546 grams 19.25 ounces 2 cups stock or broth I used pork. 199 grams 7 ounces 1 bell pepper, diced I used half orange and half yellow. 189 grams 6.75 ounces 1 avocado, diced Learn how to cut an avocado here. 2. 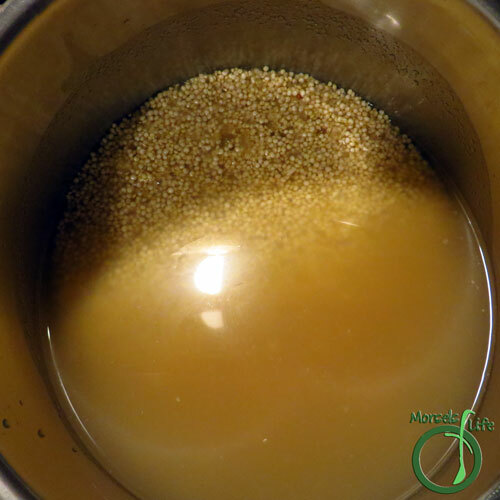 Combine stock/broth and quinoa, cooking following package instructions. 3. 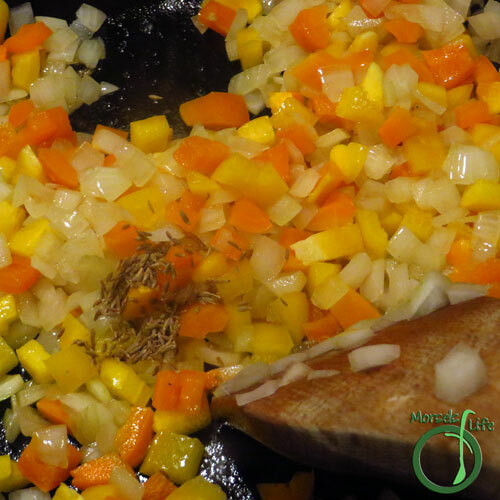 Cook onions in a bit of oil until slightly translucent. Add in peppers, lime, garlic, and cumin. 5. 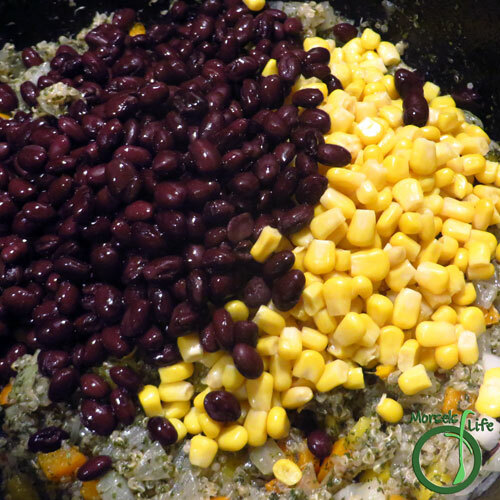 Continue cooking and mix in black beans and corn (and quinoa). I added the quinoa here, but I'd recommend adding it at the end. I think this would be the perfect side for the pork fajitas I just commented on. Great SRC reveal choice thanks. 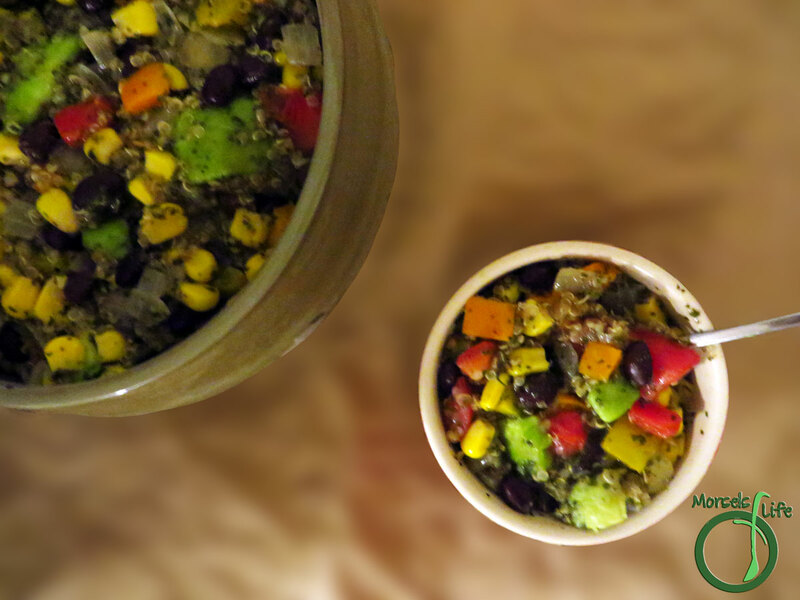 CJ, what a delicious way to ramp up the flavor of a quinoa salad. I'm tempted to eat this as a chip topper, or filling in a quesadilla or burrito. YUM! Welcome to the world of quinoa! Isn't it great?! I love dishes like this. This salad makes me so sad that I'm highly intolerant to quinoa. It sounds so good - perfect for dinner with easy leftovers for lunch. Great SRC choice! Great SRC choice! I love this salad for easy and filling lunches all week! You said the magic word - quinoa! 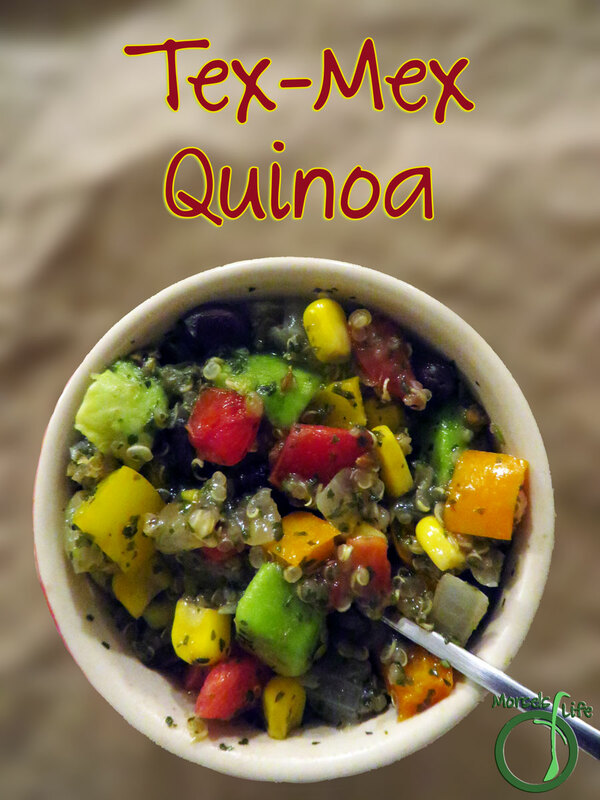 I love cooking with quinoa as a way of eating healthier and this combo sounds delicious! I make a similar one but the use of Cotija cheese sounds like something I will have to try. Yes! 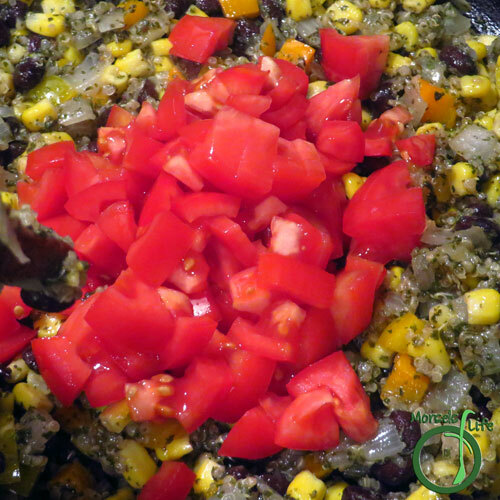 The Cotija cheese really gave this quinoa salad lots of added yumminess. :) I didn't think a little cheese would make such a difference, but it really did! Looks delicious. Thanks for sharing on Real Food Fridays. Pinned & twitted. This looks really delicious! 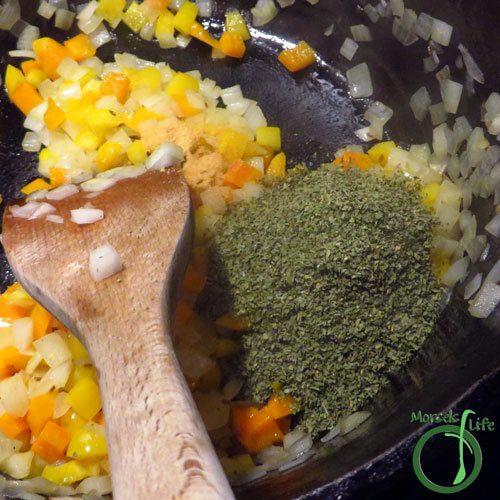 Thank you for sharing at the Recipe Swap.